Updated: If you're in the mood for some of the finest Irish cinema of recent years, then you'll find that Netflix has a surprisingly generous selection of quality homegrown fare. Writer/Director John Butler's tender coming-of-age tale is an unlikely buddy comedy-drama set in a posh Dublin rugby school, where mismatched teen duo Fionn O’Shea and Nicholas Galitzine (two fine young actors, whom you'll be hearing a lot more from) overcome their own differences, and the narrow-minded prejudices surrounding them, to find friendship and challenge the status quo. 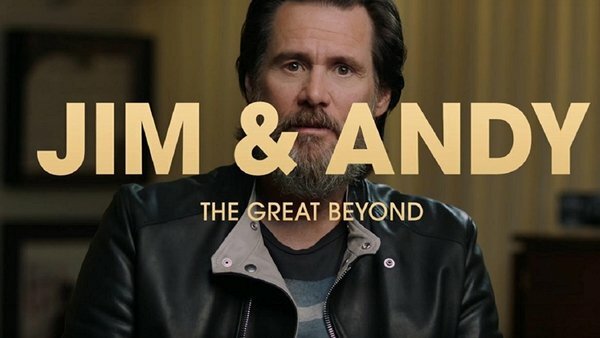 It's an inspirational, feelgood tale featuring an outstanding ensemble that includes Andrew Scott, Amy Huberman (hubby Brian O'Driscoll served as a consultant on the rugby sequences) and Ardal O'Hanlon, one that makes for a perfect double-bill another acclaimed Irish movie, Sing Street - more on that one below. Ahead of the forthcoming second TV series following the further adventures of dim-but-lovable Corkonian chancers Conor and Jock, why not revisit the Irish box-office smash that introduced them in a memorable - and utterly hilarious - fashion? Writer/Director Peter Foott put himself on the map with his videos for Rubberbandits; he brings the same anarchic energy - and visual pop - to this caper comedy, inspired by a real-life incident involving the seizure of 1.5 tonnes of cocaine off the Irish coast near Mizen Head in 2007. Truth be told, it all falls apart (albeit in a highly entertaining fashion) before the final whistle, but the winning performances from Alex Murphy and Chris Walley - as the most lovable would-be drug dealers in screen history - make this one sing. Written and directed by Frank Berry, this IFTA-winning tale features a stunning performance from Dafhyd Flynn as Michael McCrea, an impressionable 18-year-old from a Dublin housing estate who gets caught holding a bag of drugs for his friend's older brother and is sentenced to three months in prison. Berry's empathetic tale is unflinching in its portrayal of the brutalities of the Irish prison system - Berry developed the project with Pathways, a prison rehabilitation service - at heart, however, its a deeply human (and utterly heartbreaking) tale of survival against the toughest of odds. 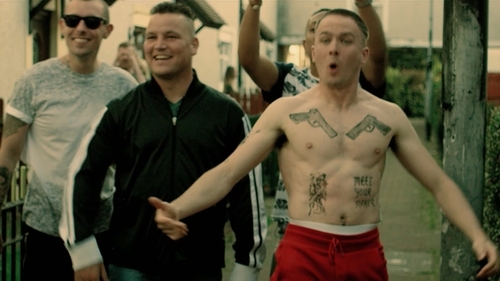 If The Quiet Man isn't quite doing the trick, then maybe you might prefer this urgent snapshot of today's Ireland in all its gritty glory, a DIY gangster epic from director Mark O'Connor, driven by an IFTA winning performance from the great John Connors. Now... what about a sequel? This unsung gem dropped on Netflix with little fanfare a while back; it's a smart, sharp and bloody revenge tale from Tyrone talents Chris Baugh and Brendan Mullins, with memorable performances from Nigel O’Neill and the perennially underrated Susan Lynch. If you enjoyed Shane Meadows' Dead Man's Shoes, or cult gem Blue Ruin, then you'll definitely dig this one - and you can't argue with that 100% rating on Rotten Tomatoes. The winner of four IFTAs, this Netflix original tells the true story of the Irish troops, led by Commandant Pat Quinlan, who in 1961 were besieged by overwhelming enemy forces while on a UN peacekeeping mission in the Congo, leading to a six-day standoff against French and Belgian Mercenaries. The film has gone a long way towards recognizing an unsung moment in Irish military history, while also suggesting that there's still life for Jamie Dornan as a movie star beyond those horrible (yet lucrative) Fifty Shades movies. Jim Sheridan's most recent picture received a lukewarm response - to say the least - from critics and audiences alike, with author Sebastian Barry complaining that the film took serious liberties with its source material - his own Booker Prize-nominated novel. Sheridan remains a bold and compelling storyteller, however, one never afraid to shoot for the stars, and while indeed flawed, The Secret Scripture still contains moments of movie magic, driven by a pair of vivid performances from Rooney Mara and Vanessa Redgrave as the younger and older versions of Rose, a woman out of time in mid 20th century rural Ireland. Subtle it ain't, but if you're a fan of The Notebook, then you'll love this.